Please join us in asking U.S. Representatives to support the Humane Cosmetics Act (H.R. 2790) and put an end to cosmetics testing on animals in the U.S. Using animals for cosmetics testing not only harms and kills millions of innocent animals, but it's bad science. Non-animal alternatives are the present (and future) solution — they are modern, humane, and more predictive of human health and well-being. I believe using animals in cosmetics testing is unacceptable. Not only does it inhumanely harm and kill millions of rabbits, mice, rats, guinea pigs, and other animals, but it is unscientific and not predictive of human response. Please consider supporting the Humane Cosmetics Act (H.R. 2790). The Humane Cosmetics Act provides the perfect opportunity for the U.S. to catch up with the E.U. and numerous other countries, which already use modern, non-animal alternatives to test cosmetics. 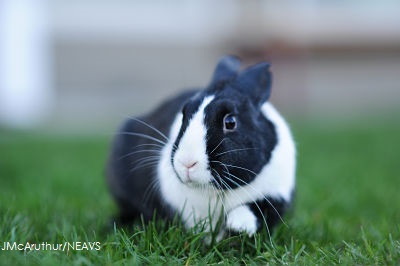 Once passed into law, the HCA will ban cosmetics testing on animals in the U.S. within 1 year, and end the sale of animal-tested cosmetics in the U.S. within 3 years. The Humane Cosmetics Act means a kinder world for animals and a safer world for Americans. The changes we are seeing worldwide will provide incentives for U.S.-based researchers and companies to accelerate the development of new testing methods, generating momentum that will spill over into biomedical research as well. Yes, I would like to receive periodic updates and communications from NEAVS.